How do I describe these little cookies — crunchy, cheesecakey, coconutty, crispy, citrusy, and creamy. Hey, those are all “c” words; and to top it off they are “cute”. Buy the cookie then whip up this cheesecake filling and you have a great add-on dessert to serve with some coconut ice cream or lime sorbet. I love the flavor of key lime and you know when you make key lime desserts you are not suppose to add green food coloring. If you ever get key lime pie in a restaurant you do not want it to be green — that’s a big no-no in using key limes. I’m adding a lot of lime zest to add little specks of green through the filling. What’s more tropical in flavor that coconut and lime; maybe pineapple, but I couldn’t figure out how to add pineapple to this mixture and still be able to pipe into these tiny holes. What I may try next time is making some cannoli shells and add a little crushed pineapple to the cheesecake mixture before piping into the shells. Now that would be even more tropical. But for now, these are delicious and easy and no need to make cannolis. BLAST FROM THE PAST: Looking for something tropical for this summer? Try my Drunkened Pineapple Upside Down Cake. I made these in ramekins for individual cake servings. I got the cookies at Costco but you could replace with cannoli shells. 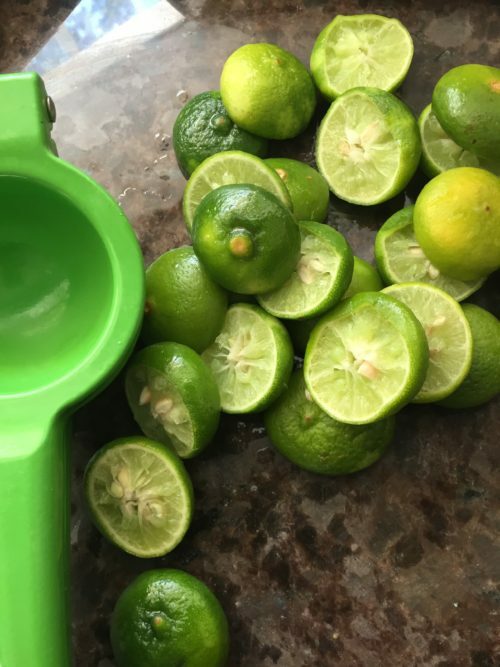 Squeeze key limes. I used the regular (Persian) limes for the zest because the key limes are too small to try and hold on to. 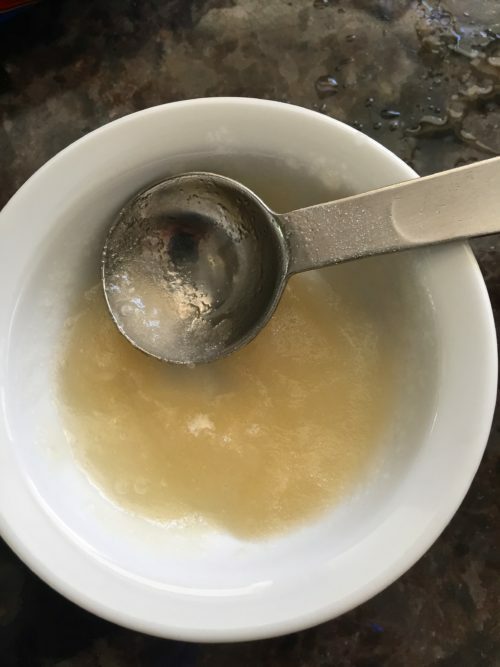 Put the water and gelatin in small dish and let stand for 5 minutes. 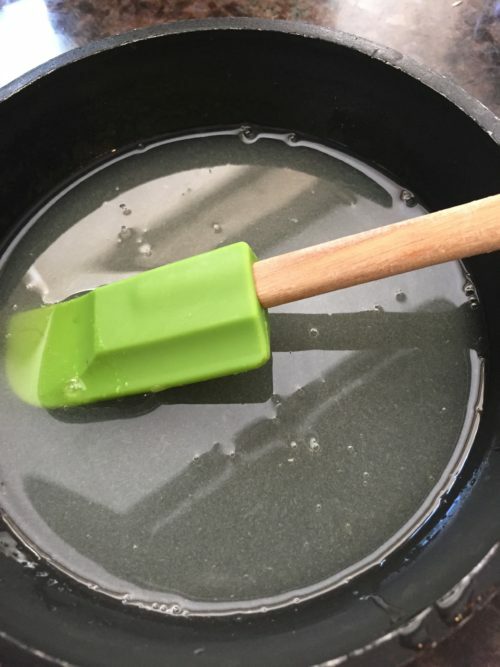 Put gelatin and water in a small skillet and warm just until melted. Add the 3 tablespoons of lime juice. Toast the coconut in 350° oven until lightly toasted. Use a small piping pipe to pipe the filling into cookies. 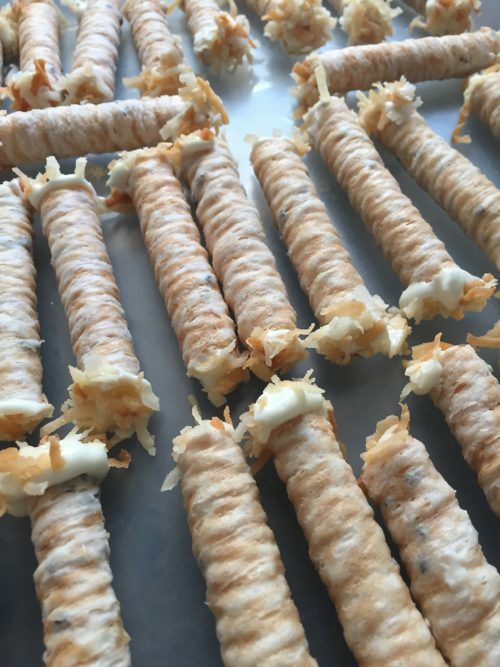 If you use the cannoli shells then you can use a larger tip and would be a lot quicker than these little cookies. BUT, the coconut cookies goes really well with the key lime cheesecake mixture. 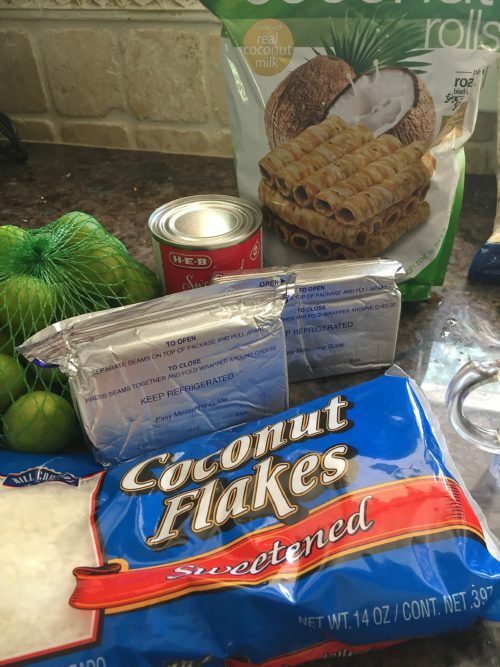 Dip the ends of each cookie in the toasted coconut. Chill until ready to serve. 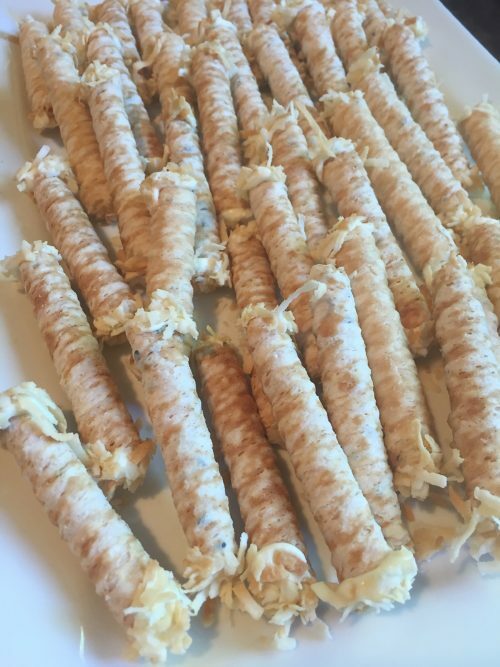 I used Martha's no-bake key lime cheesecake to fill these little coconut rolled cookies and dipped the ends in toasted coconut. 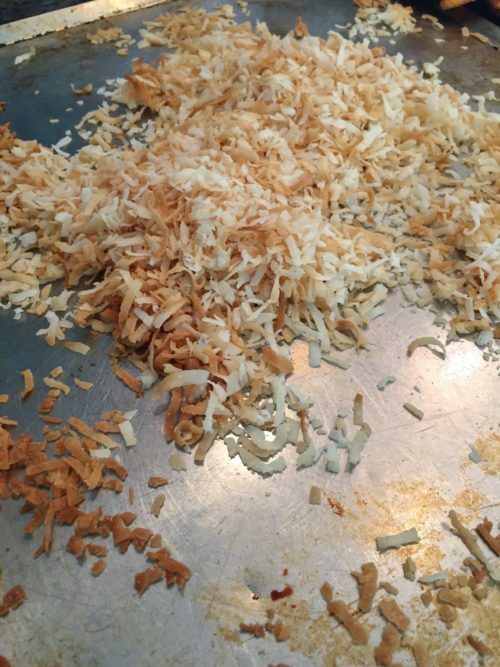 1/2 c. shredded sweetened coconut, toasted lightly. In bowl of an electric mixer fitted with paddle attachment, beat the cream cheese and condensed milk on medium high speed until fluffy, about 5 minutes. Add lime juice, zest and vanilla. Beat 1 minute more. In another bowl, whip the cream to stiff peaks. Gently fold into cream cheese mixture. Refrigerate for about an hour. Put the cheesecake mixture in a piping bag fitted with an open round tip and pipe mixture into cookie tubes from both ends to fill. 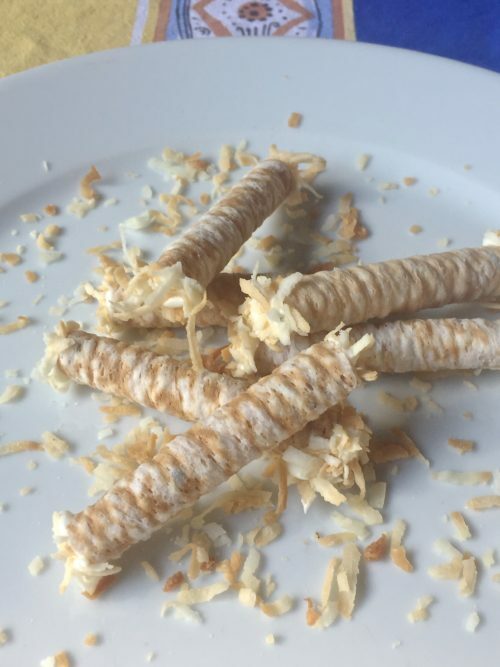 Dip each end of the cooke stick in the toasted coconut. Option: drizzle some melted white chocolate over each stick. Refrigerate until ready to serve. I started with a larger tip and it didn't work very well. If you have a bavarian tip then that would work perfect. I have one but could not find it. Cannoli shells would work great and easier to fill. 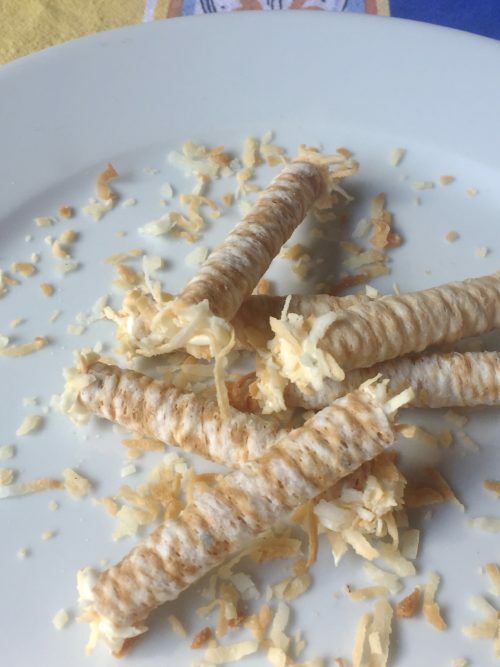 If I were to use cannoli shells I might add the toasted coconut to the filling and then pipe and dip ends in more coconut.